🎇 Deep House Cleaning in Houston, TX: How Often Do You Need It? 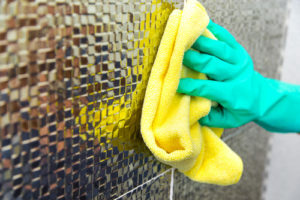 Every once in a while, your home needs thorough cleaning. Over time, dust and grime build on your fixtures, grease, and food create those pesky stains in your oven, and you suddenly become aware of the amount of effort you need to put into cleaning. When the dirt behind your faucets just won’t come off, the wisest decision you can make is – hire professionals skilled and experienced in deep house cleaning in Houston, TX, or another area you live, and save yourself the hassle. But you may wonder what exactly is deep cleaning and whether your house truly needs it or not. Read on to find out! What is considered a deep house cleaning? A deep house cleaning is a thorough, all-encompassing way of cleaning your home to entirely remove all debris and dust from every room and surface in your home. Once it’s completed, you can rest assured every inch of your property is in pristine condition. Deep cleaning includes everything from door frames and light fixtures to vents, walls, and baseboards. It means getting behind a couch and tending to all hard-to-reach places that are usually overlooked during basic cleaning. This type of cleaning is time-consuming and can easily become overwhelming, which is why most people decide to leave it to the pros. Professional cleaners will make certain that no debris, dust, and dirt gets left behind. If you hire a cleaning service, your maids will pay special attention to parts of your house you have neglected, using up-to-date cleaning tools and supplies to remove all the dust and dirt that has built up over time. Bathroom and kitchen tiles, etc. If you go for professional deep house cleaning and you have a two bedroom home, it can typically take up to 6 hours for your cleaning crew of three to get everything in tip-top shape. The number of hours they need to get the job done mostly depends on the amount of work and the size of your home. Since professional cleaners have the know-how and specialized equipment, and they are a well-orchestrated team who is efficient and able to deliver top-notch results. In case you want to clean and organize everything from top to bottom, it’s best that you do it step by step. If you focus on one area each day, you’ll finish in about seven days. 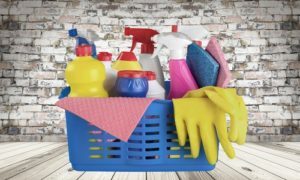 How often should I deep clean my house? A couple of times a year, your place needs a detailed clean that will leave it absolutely fresh, perfectly healthy, and spotless. 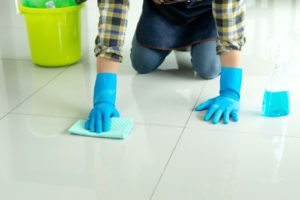 You may need a deep cleaning in case you’re moving house, or you’re having guests stay over at your house for a couple of days, since you want everything to be perfect. Also, if it’s your first time scheduling an appointment with a cleaning service, they will recommend deep cleaning for impeccable results. Where can I find a reliable deep house cleaning service in Houston, TX? If you are looking for premier service, personable customer care, and skilled cleaning go-getters in Houston or surrounding areas, Big City Maids is your go-to place. All our cleaners are fully insured, trained, and experienced individuals. They are also dependable and passionate about cleaning. They will use proven cleaning methods and most advanced equipment to deliver the most comprehensive deep cleaning you’ll be absolutely satisfied with. We want to give you a clean home and more time so you can focus on what you truly want. Book a cleaning with us, and you’ll enjoy our great prices, save money, visit Lake Houston Wilderness Park and spend more quality time with your dearest ones, returning to a sparkling clean house completely refreshed!